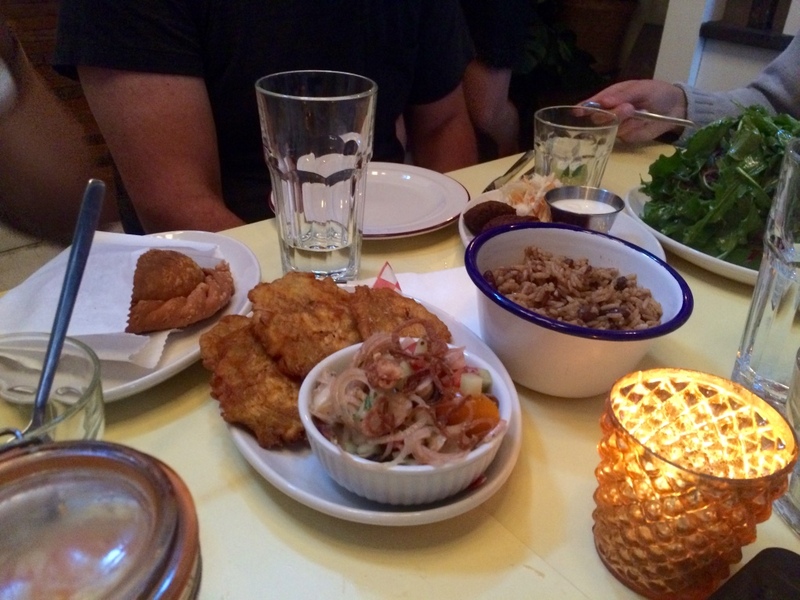 Tropical night at Agrikol – Montreal restaurant | Everything Delicious. 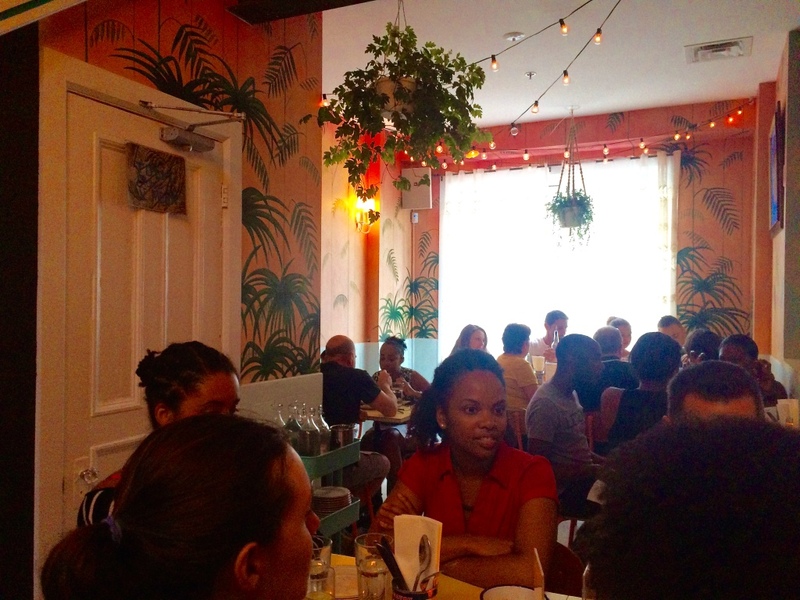 This new Haitian restaurant on Amherst is definitely heating things up. So if you can’t afford holidays in the Caribbean, no need to worry, this Montreal restaurant has you covered! Everything here from the music, the vibe, the food to the cocktails will transport you straight to Haiti for the night. The backstory of Agrikol is worth an introduction as this place is the venture of both Arcade Fire’s couple: Régine Chassagne (who is the daughter of Haitian immigrants) & Win Butler, and Toronto restaurant owners Jen Agg & Roland Jean (who grew up in Port-au-Prince). If you’re familiar with Toronto, these guys own The Black Hoof, the Rhum Corner and Cocktail Bar). 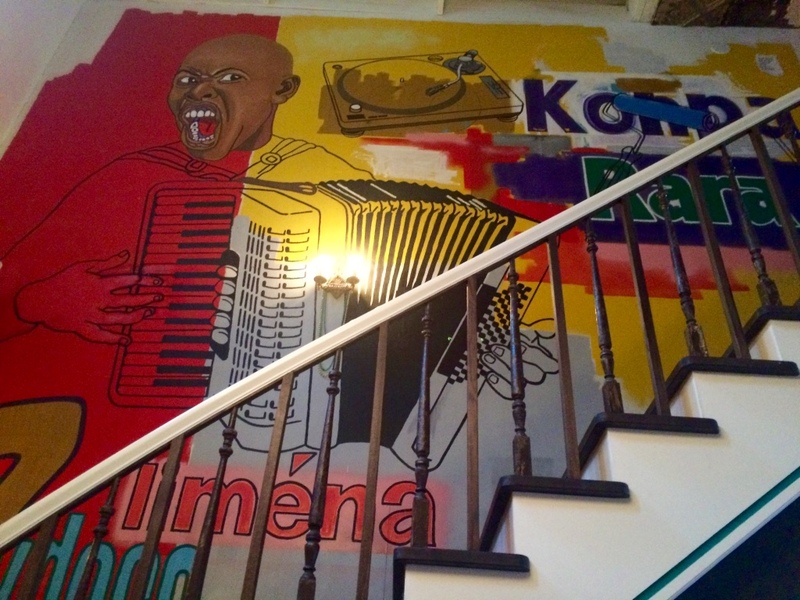 A promising association which resulted in the opening of this new hot Haitian hang out in Montreal. The menu is composed of simple Haitian fares, nicely executed. We tried all the starters on the menu and my favourites were the akra and the griot (crispy pork) but everything was pretty good, although a little too often fried and served with Plantain. 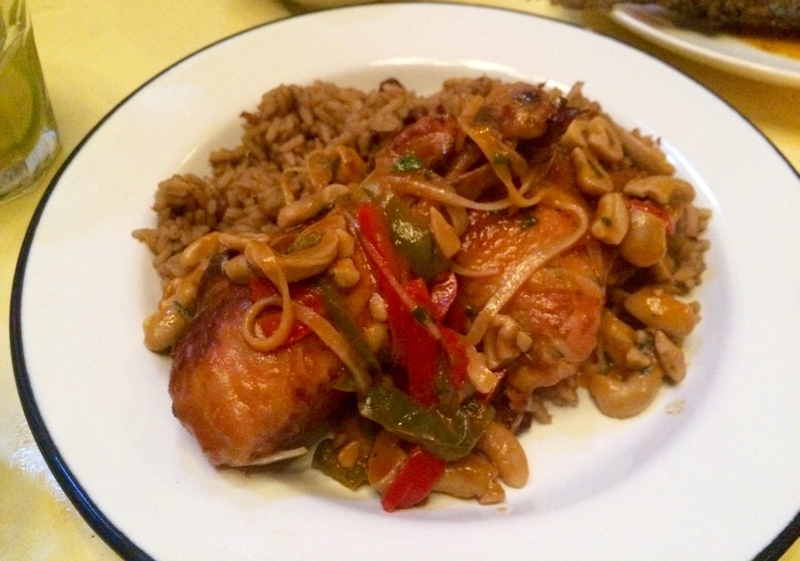 For mains, we had the chicken cashew nuts which was tasty and well prepared. But the HIGHLIGHT of the night was definitely the fried fish. Deliciously marinated, spicy and crispy, the only thing left on the plate were the bones. Served with rice and a little veggie puree, it was particularly yummy. 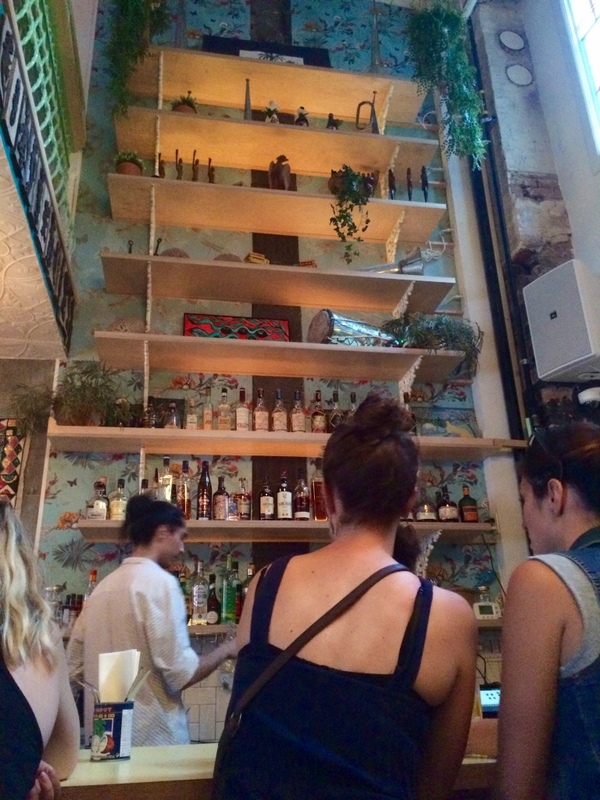 Food is great but drinks here also deserve a section. I really liked the concept of DIY Ti Ponch. The waiter bring you everything you need: rhum, ice cubes, lime, cane syrup and you make your own. I also tried the local Haitian beer but definitely would stick to the “koktel” next time. Agrikol has a really nice vibe. Awesome deco, sunny music, fun & mixed crowd made of haitian and quebecers, from trendy youngsters enjoying the loud music inside to families soaking in the vibe under the dimmed lights in the backyard. Definitely a warm and welcoming atmosphere. 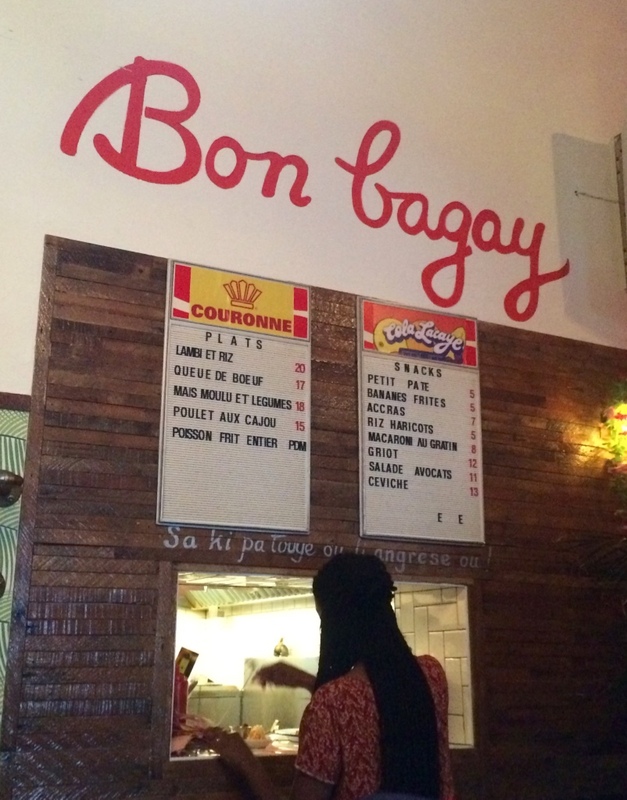 Bon Bagay = good things in creole. Perfect banner for a kitchen. High sky 2 storeys’ bar, full of rhum! Cool painting on the wall by Jean, one of the 4 founders. Go give it a try as soon as you can but be smart about the line up because they don’t take reservations here (probably better to come early or a little late). Go sooner rather than later so you can enjoy the beautiful outdoor space and please, please do try the fried fish! 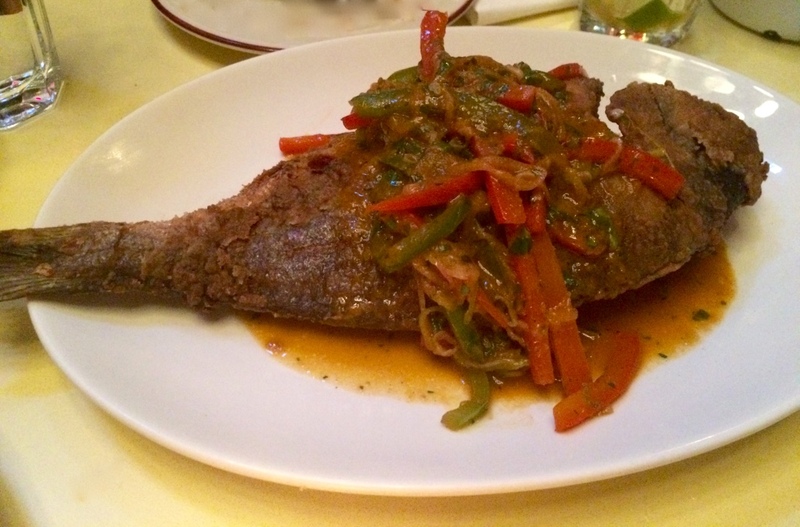 This entry was posted on August 7, 2016 by Pauline Rosen in Restaurant feed and tagged accra, agrikol, fried fish, gay village restaurant, haitian food montreal, haitian restaurant, montreal restaurant, plantain, restaurant amherst, restaurant montreal.